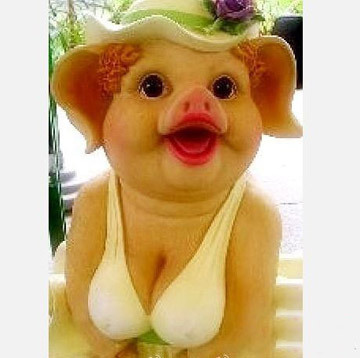 The pig at the centre of the David Cameron scandal has broken her silence in an exclusive kiss and squeal interview. Under the alias ‘Margaret’ she said that she wanted to get things straight, “Something Mr Cameron had no trouble doing in his student days”. Customers ‘left stunned’ – unlike the animals. A veterinary surgery that claims to follow halal practices has drawn protests in the village of Harold. Following guidelines for animal welfare dictated by an angel some 1,400 years ago, the Jamuh Haariat practice treats a range of ailments using only a sharp knife. This sheep was stunned shortly before it was humanely run over. 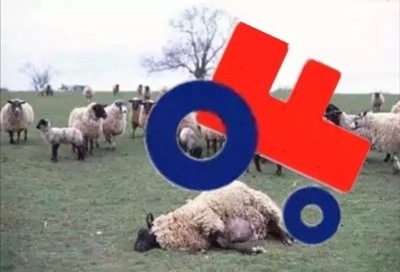 In response to the uproar surrounding unmarked Halal meat, supermarkets have pledged to offer consumers much more choice in the way animals are killed. Sifting through the meat aisle of her local Tesco, Harold resident Pippa Delaney welcomed the move. 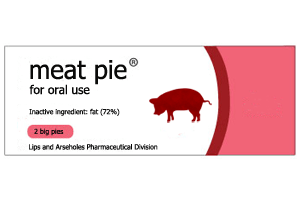 Whilst Durham’s Police and Crime Commissioner is assessing drug consumption rooms, where addicts may safely inject, Boris Johnson thinks their remit might be extended to include pies. London’s Mayor has studied a summary of a half-page article about research in Denmark, where they already run drug rooms and he believes the model might work here too. Johnson says the experiment in Copenhagen has helped clean up streets from take-away food wrappers. 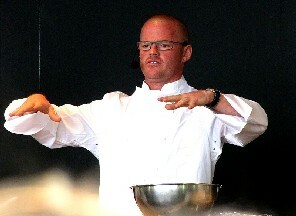 Celebrity chef, Heston Blumenthal, is set to once again challenge the public’s perception of what can be classed as food with the release of a new line of curries made from human body parts. In his constant quest for attention Blumenthal has been advocating alternative foods such as insects for a number of years, but limited success has seen him look into even more radical options. Are you having trouble convincing your children to eat their vegetables? Are you a carnivore that struggles to get your recommended daily amount of meat? Are you just looking for a way to improve your evening meal? Then why not try PorQu. The BBC has again been forced to apologise for Top Gear, after it was revealed that Richard Hammond’s personality had been faked. Hammond, a 4’9″ pile of crudely moulded spam, has been used by the show regularly to make up the number of oafs. But audiences weren’t explicitly told that he was a shaped heap of minced cheap cuts, a situation the BBC admitted was ‘regrettable’. The villagers of Harold have taken to the high street, to celebrate their new-found independence from Tesco. Many spent under 45 minutes finding a parking space and then a business that wasn’t all boarded up. For decades Harold has lived under the cruel tyranny of Tesco, suffering from a wide range of goods at near-affordable prices. 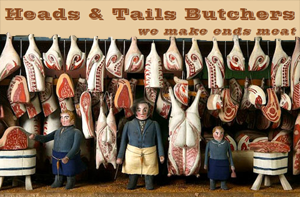 But now a reasonably hygienic butchers has opened up on the High Street, breaking Tesco’s stranglehold on the community’s meat-based desires. Cllr Ron Ronsson spoke for many when he simply could not hold back his delight with this new place to get his chop on.